Modern interior decorators are finding new ways to work Botticino marble thresholds into their designs every day. These have long been popular with architects who work in the hospitality industry. You might Botticino marble in many hotels and restaurants. The trend is quickly transforming residential design because of the almost minimalistic look of this highly attractive stone. Since thresholds sit at the bottom of a doorframe, you might not think that people care much about how they look, but actually it is part of the first impression. And homeowners also need materials that will hold up to people and pets walking through on a regular basis, while still looking fresh. Quality marble can also help to brace the overall frame. Fortunately, Crema Marfil thresholds are so close to those made with Botticino that they can work as an excellent substitute on any project that calls for them. 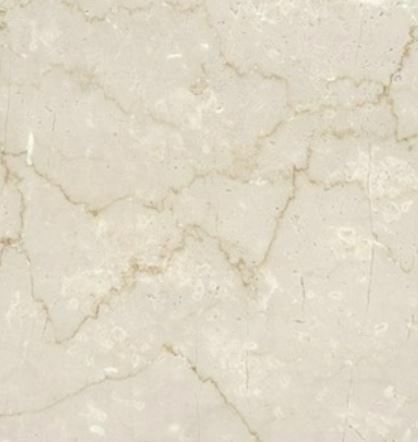 Botticino marble is visually stunning yet subdued at the same time. An almost gray ivory color gives the stone the look of having an additional dimension to it. Veins and light splotches of color speckle the stone throughout, which makes it look like you could almost see inside of it. While “form follows function” has been the rule in interior design the last few years, this unobtrusive offers just enough character to look thoroughly modern without drawing too much attention to itself. This makes it every bit as useful for main entrances as for bathroom transitions. If you’re working on projects that call for Botticino marble thresholds, then you’ll want to give some serious thought to Crema Marfil. The polished exterior, low-key ivory color and dusty vein pattern make it an ideal substitute for all modern designs that call for this type of stone. Architects and contractors also find that Crema Marfil marble works well for projects that call for Sicilian Cream stone, too. 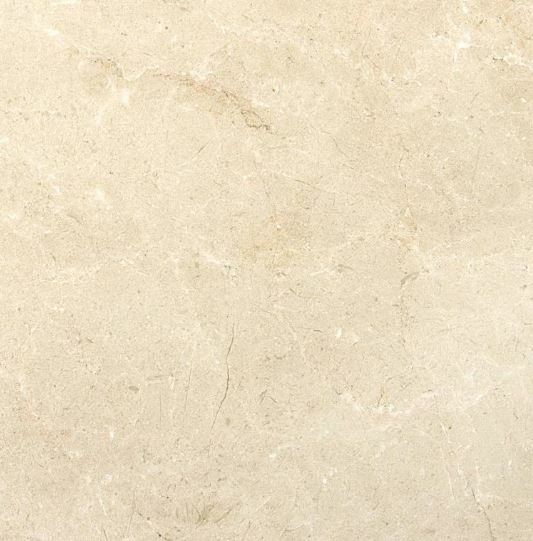 Crema Marfil is a flexible stone as far as design goes, so you’ll be able to find it in the size you need. Contractors have used regular quarter-inch double inclines on the sides of their stone for years. Modern designers have a few special tricks up their sleeves, however. When wheelchair access is a concern, they turn to so-called Hollywood bevel thresholds with as large as a 1 ⅜-inch incline on either side. This turns them into a small ramp without sacrificing the color that comes with Botticino marble. Whether you’re in the business of building or renovating houses, you’ll want to make every project unique. Put your own custom fingerprint on every project by only using quality stone thresholds to finish them off. Stonexchange is both a manufacturer as well as a distributor, which gives us the freedom to offer as many different options as you need. If you’re looking for Botticino marble thresholds, then we have something that will look great in your next residential project. 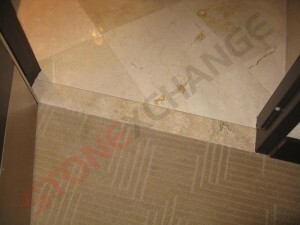 Contact us through our website or give us a call at 305-731-2400 to speak with a Stonexchange marble expert today. As a direct importer, you’ll also great pricing on the market.